SIRTE, LIBYA - JULY 16: Libyan residents of the city of Sirte walk through the ravaged remains of mortared and bullet riddled buildings on July 16, 2012 in Sirte, Libya. 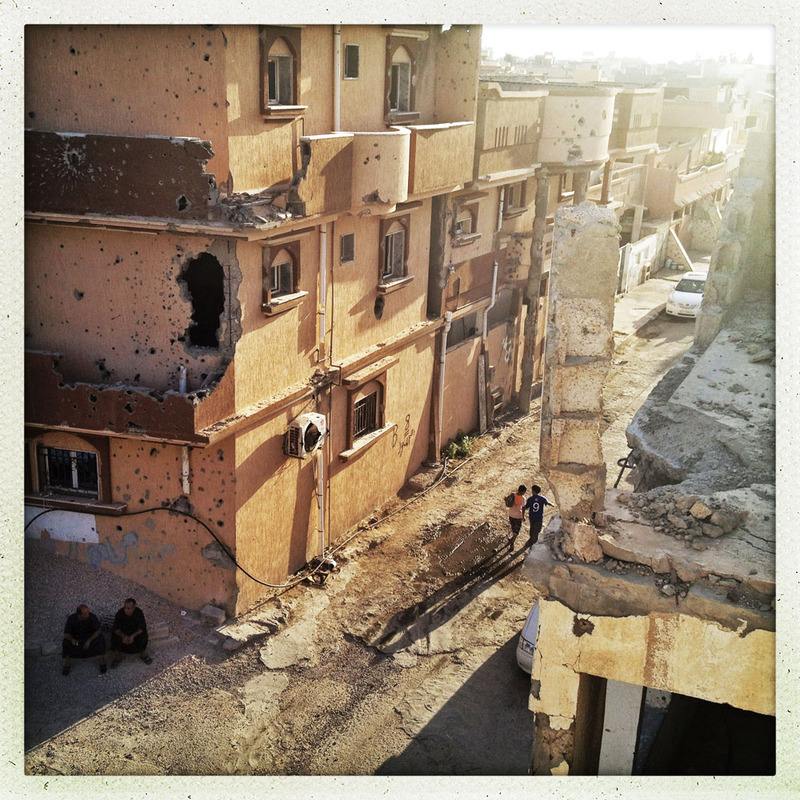 The city is home to a large population of Gaddafi’s tribe and still support the dead dictator. They feel that no national reconciliation is possible while they are policed by the Misrata militia and Islamist brigades.